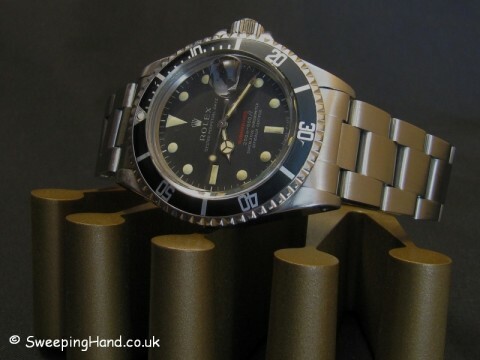 Here we have a Rare Rolex Red Submariner For Sale from 1968. 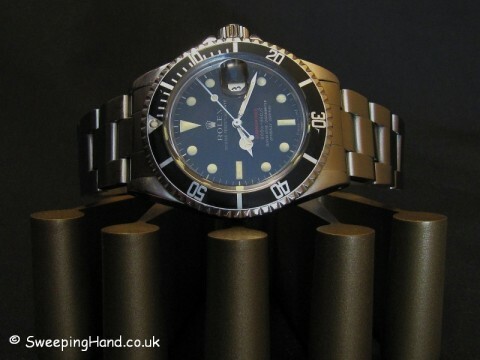 One of the rarest and most desirable Rolex Submariners for collectors. The very first version of the Rolex Red Sub produced in 1969 with serial numbers between 2.0m and 2.2m. 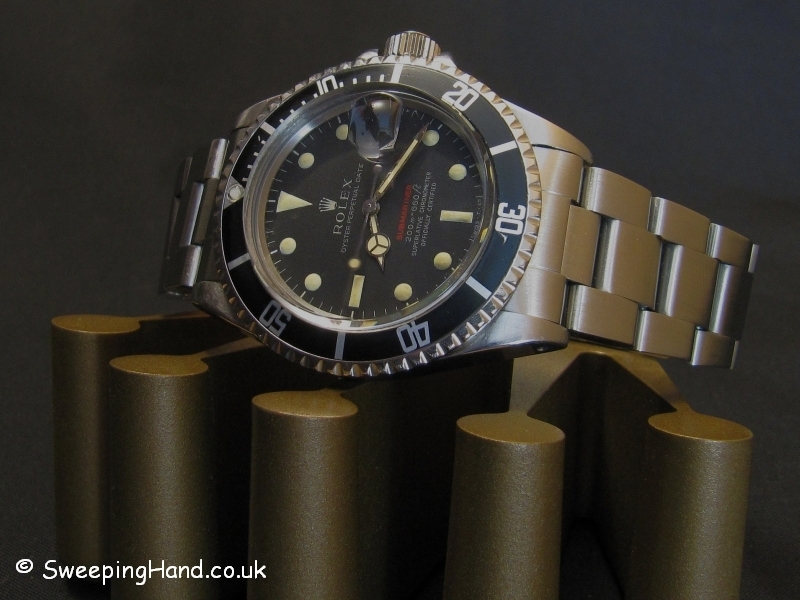 The Rolex 1680 Submariner mark one featured the first red dial submariner with applied red paint over the white of the word submariner on the dial. The first of three ‘metres firsts’ dials you can distinguish a mark one red from the others by the long ‘f’ in ft below submariner and the ‘closed’ 6’s. The wording is also much more compact than later dials. 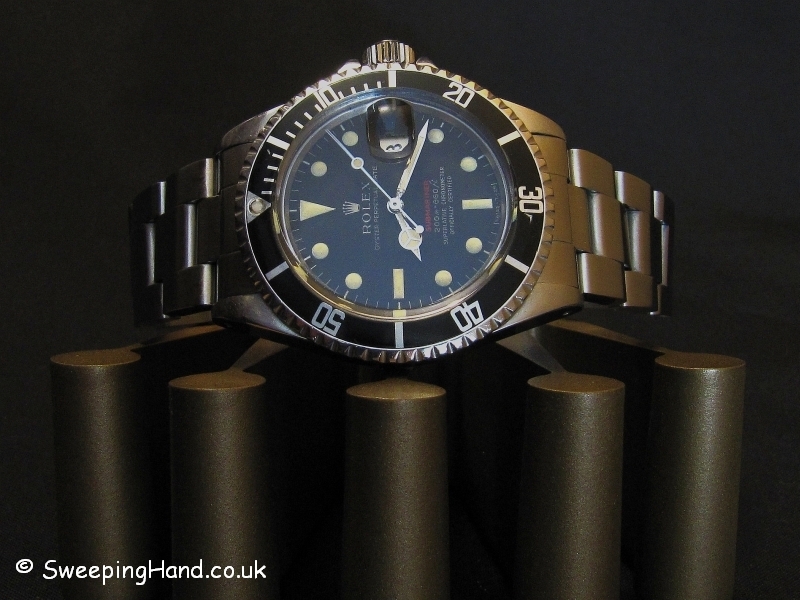 This watch is in exceptional condition with superb dial and extremely good case. 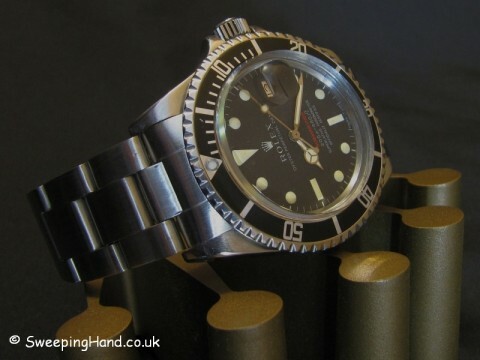 The Rolex Red Submariner is a must for all Rolex collectors and of these the mark 1 is the holy grail. 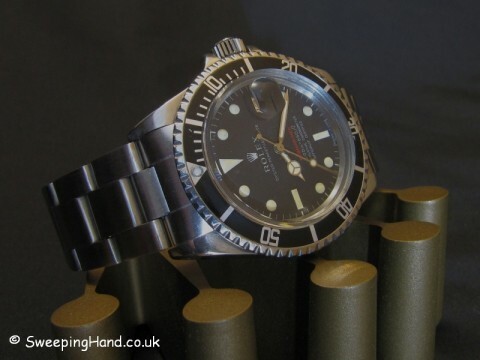 Dial & Hands: This piece has the most stunning unmarked Rolex 1680 red dial with beautiful deep cream plots and matching original tritium Rolex hands. Case & Caseback: A correct 2.1m serial Rolex 1680 case in excellent condition with nice fat lugs and retaining the original beveled edges. Rolex caseback correctly stamped with year and model. Serial numbers clearly visible between the lugs. Nice Rolex fat font insert with matching pearl. 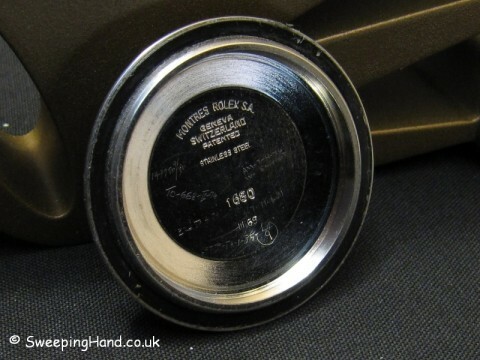 Bracelet: Comes on a very nice Rolex 9315 bracelet with correct Rolex 580 end pieces. Movement: Original non-hacking Rolex 1570 movement keeping great time having been recently serviced.